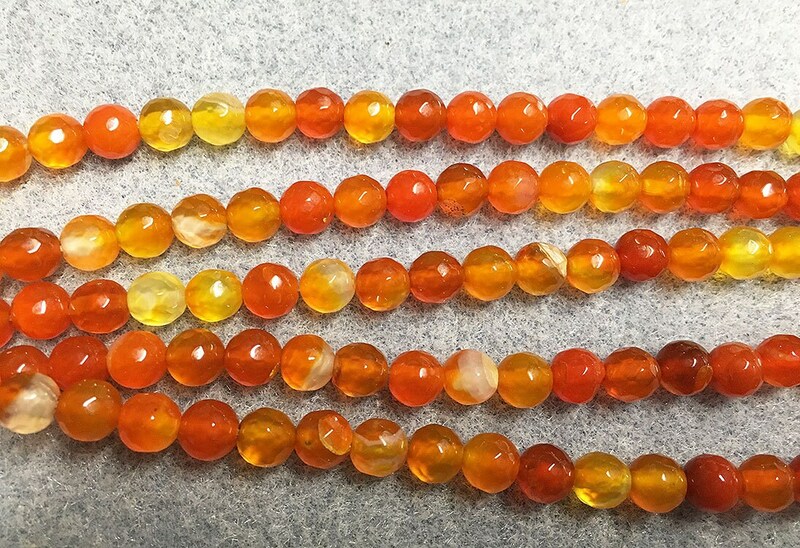 Bright carnelian color orange agate faceted rounds measuring 6mm. Shades of orange vary from light to dark, color. There are 32 beads per 8 inch strand.